The Horizon 7.0 AE elliptical is the latest release from the popular company, a step up from the base EX-59 with a heavier flywheel, Bluetooth workout tracking, incline capability and a new training app, among other improvements. This is a great option for those that want a bit more than what an entry level elliptical provides, without having to spend a lot of money to get it. 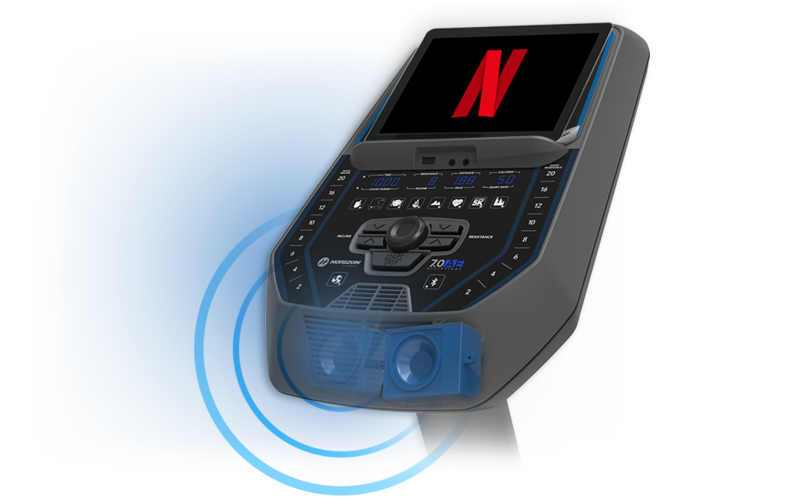 The 7.0 AE has a durable frame with stationary and moving handlebars, a large 7" LCD screen and comfortable extra large foot pads. People are genuinely excited about the release of the new Horizon 7.0 AE, as it gives you everything that's missing on the base EX-59, at only a couple hundred dollars more. Don't get us wrong, the EX-59 is a great entry level machine, but this one seems to be a much better option given all of the upgrades. For starters, you go from a 14.3 lb. flywheel on the EX-59 to a 23 lb. one here. A heavier flywheel equates to a smoother, quieter elliptical motion...so this is a nice upgrade. Stride length on the 7.0 AE also improves to 20" from 18", accommodating taller individuals as well. Always better to have more freedom of movement. One of the biggest upgrades is the addition of incline, something missing on the EX-59 as well as the up-level Evolve 3 and Evolve 5. This allows you to ramp up your training, which puts more emphasis on the lower body and also increases your cardio output. You also get 20 levels of resistance, so between that and the incline, you can really challenge yourself. Another major upgrade is the inclusion of Bluetooth capability with a free training app that most of the other ellipticals in the Horizon lineup do not have. The Horizon 7.0 AE syncs with your tablet or smart phone and you can control your workouts with the touch of a button. You can also push all of your workout data to your favorite fitness apps, including My Fitness Pal, MapMyRun, Under Armour and more. Other great features include a max user weight of 325 lbs, built in speakers, tablet holder, workout fan and water bottle holder. Not a lot of negatives on the new Horizon 7.0 AE to speak of. It is a big improvement on the EX-59 in all categories. It is about 50 lbs. heavier, however, so it's a bit harder to move around, and at 194 lbs. it's one of the heaviest ellipticals in the company's lineup. It also doesn't fold, so if you need something that does you might want to consider one of the other models. How Does the 7.0 AE Compare With the Other Horizon Ellipticals? At any given time there are about half a dozen Horizon ellipticals on the market. For the most part it is pretty straightforward...as you move up in price you get more features and capabilities, and the ellipticals are a bit more advanced. However, the addition of the 7.0 AE seems to have changed all of that, as it is actually a better option than some of the more expensive machines that Horizon offers. As you've read above, the EX-59 is the base model in the series, an entry level machine with some nice features. You get a 14.3 lb. flywheel, an 18" stride length, 10 levels of magnetic resistance, compact design and a 300 lb. maximum user weight capacity. Moving up you have the new 7.0 AE, with a little more of everything. You get a 23 lb. flywheel, a 20" stride length, 20 levels of magnetic resistance and a 325 lb. maximum user weight capacity. It also adds incline, Bluetooth and a free training app, as well as a stronger brake and parts warranty. At the next level you have the Evolve 3 and Evolve 5, which improve upon the EX-59, but share many of the upgrades that the lower priced 7.0 AE offers. However, the Evolve Series ellipticals don't have incline or Bluetooth...they do fold however, and are Wi-Fi enabled...the EX-59 and 7.0 AE don't have that capability. Now at the top of the Horizon elliptical lineup you have the Elite E7 and Elite E9 models. The Elite E7 actually shares a flywheel weight, stride length, resistance levels and max user weight with the 7.0 AE, yet is about $400 more expensive. You do get a lot more workouts however and a larger display, as well as Wi-Fi connectivity. The Elite E9 is the top of the line model, with the heaviest 30 lb. flywheel and 350 lb. max user weight capacity, best warranty, a 7" touch screen display, Wi-Fi and Bluetooth capability and the most built in workout programs of the series. Which Horizon elliptical should you choose? If your budget is very limited, and you're OK with a more basic machine, then the EX-59 will certainly suit your needs. It's well designed and has enough to keep you motivated. If you're more open, we would recommend the new Horizon 7.0 AE, simply because you get so much more for your money. It has incline and Bluetooth capability like the upper end Elite Series, without the high price tag that those models have. It also has the free training app which is unique to the the 7.0 AE. 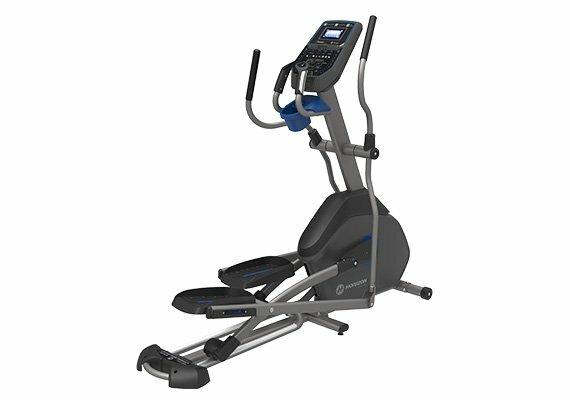 Lastly, if you just want the best that Horizon has to offer, look at the Elite E9, which is the smoothest, quietest elliptical in the lineup, and also has the most workouts and the unique touch screen display not found on any other model. 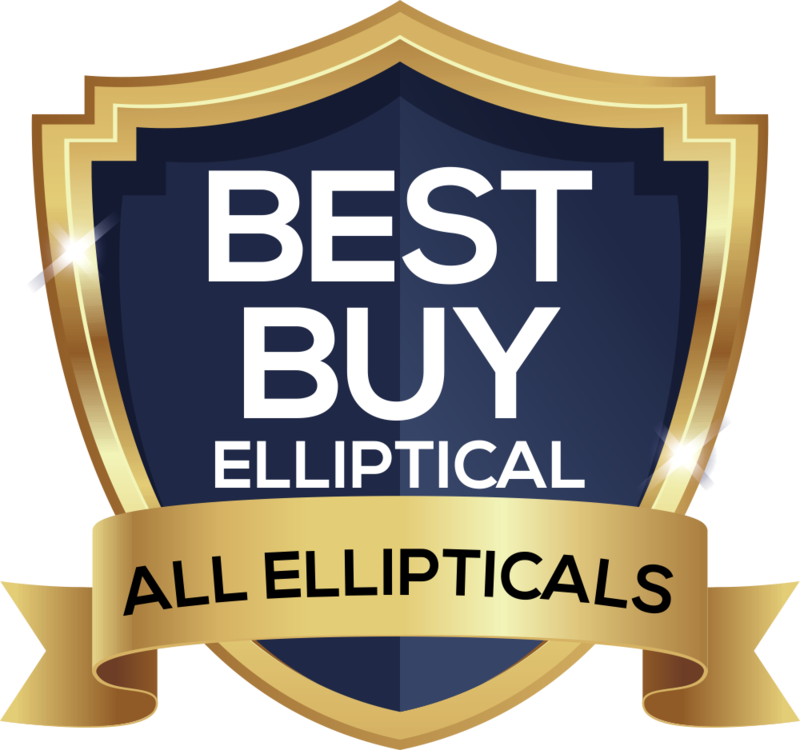 All of the Horizon ellipticals are in the $599 to $1599 range, so they're all very affordable and give you tremendous value...you really cant's go wrong with any of them. It's very hard to believe that you can get a 20" stride, heavy flywheel, incline capability, 20 resistance levels, Bluetooth integration, free training app and overall solid construction for just under $1000. But the new Horizon 7.0 AE gives you just that, and is a huge upgrade to the base EX-59 model. Although pricewise it bridges the gap between the base model and the Evolve Series, we think this one is the better option. The only more advanced option in the company's lineup is the Elite Series, especially the E9, so consider that one as well. But if you want to stay below $1000, you really can't beat the 7.0 AE. The Horizon 7.0 AE elliptical is on sale right now!